MOSCOW, December 22. /TASS/. The Russian army will get over 900 tanks and armored vehicles and 170 aircraft in 2017, Defense Minister Army General Sergei Shoigu said at the ministry’s final board meeting. "The task is to ensure the delivery of 905 tanks and modern armored vehicles, make 170 new and upgraded aircraft operational in the Aerospace Force and naval aviation. To rearm four antiaircraft missile regiments with S-400 systems. To make operational eight surface ships and nine combat boats operational in the Navy, deliver four Bal and Bastion missile complexes to the coastal defense troops. 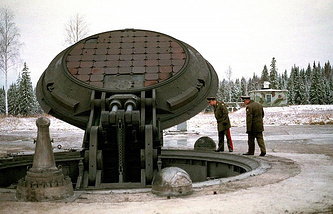 To place three radar stations of high factory readiness on combat duty in Yeniseisk, Orsk and Barnaul," the defense minister said, speaking about the ministry’s plans. 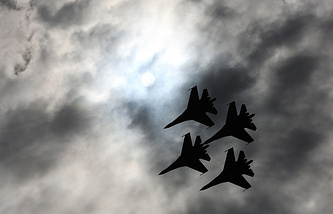 The Russian Aerospace Force is set to receive five modernized strategic bombers in 2017, the defense minister said. There are plans "to make operational five modernized strategic aviation airborne systems," he added. Three regiments armed with modern missile systems will assume combat duty in Russia’s Strategic Missile Force in 2017. "For the strategic nuclear forces, the task is to put three missile regiments armed with modem missile systems on combat duty in the Strategic Missile Force," the defense minister said. Six regiments armed with Yars ICBMs assumed combat duty in 2015 and another four were put on combat duty in 2016. 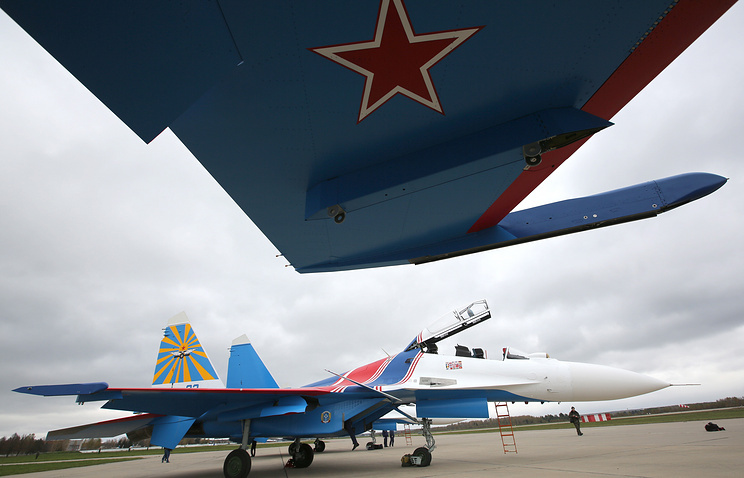 The Russian Aerospace Force received almost 250 aircraft in 2015 and the plans for 2016 envisaged the delivery of about 200 planes, including nine modernized strategic bombers. In 2016, the Russian Defense Ministry rearmed five regiments with S-400 anti-aircraft missile systems while 24 warships and vessels and two submarines joined Russia’s Navy. Chief of Russia’s General Staff Valery Gerasimov said earlier that the Defense Ministry planned to annually purchase about 200 aircraft and helicopters, up to 30 warships, vessels and submarines and also up to 600 pieces of the armor. "To take measures to reinforce the army groups in the western, southwestern and Arctic strategic areas, to make sure that defense contracts are placed and fulfilled in time." The Russian Black Sea Fleet will receive three new submarines and two frigates next year, Fleet Commander Alexander Vitko said on Thursday. "In 2017, we’ll accept three submarines and two frigates," the commander told journalists at an enlarged board meeting of the Russian Defense Ministry in Moscow. The commander said two of these submarines had the names Krasnodar and Stary Oskol. "New ships are arriving for the Fleet. This year, we have accepted about 30 ships and vessels, of which ten are combat ships and boats," the commander said. A new formation of coastal defense troops was established in the Black Sea Fleet this year, the commander said.